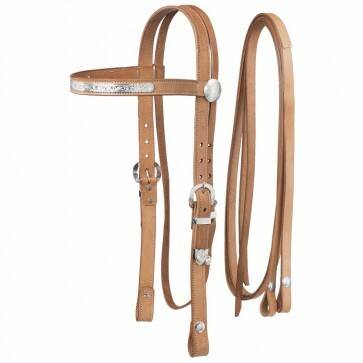 Doubled and stitched 1” wide leather browband headstall accented with bright cut silver bar, conchos and buckles. Complete with reins. Fits most draft horses.